LENRD, you can achieve low-frequency accuracy other companies can't give you. Bass traps substantial enough to control nodes have always been expensive to buy or intricate and time-consuming to build, but not anymore. LENRD is extremely effective at smoothing out low-frequency room nodes at a price that anybody can afford. 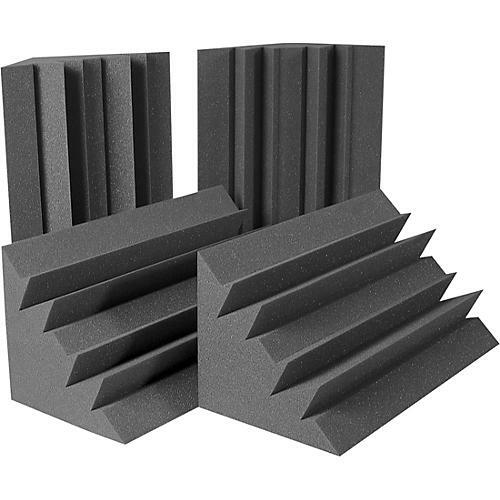 For installation, LENRD Bass Traps require Auralex Foamtak spray adhesive (sold separately, - see #422605), which allows you to remove the foam later. For more permanent installation use Tubetak (sold separately - see #422606) or Tubetak Pro liquid adhesive applicators (sold separately - see #472436).